Canva is one of my favorite social media tools. I use it with every marketing project I’m apart of. It’s easy to use, creates quality images, and gives social media a professional look. 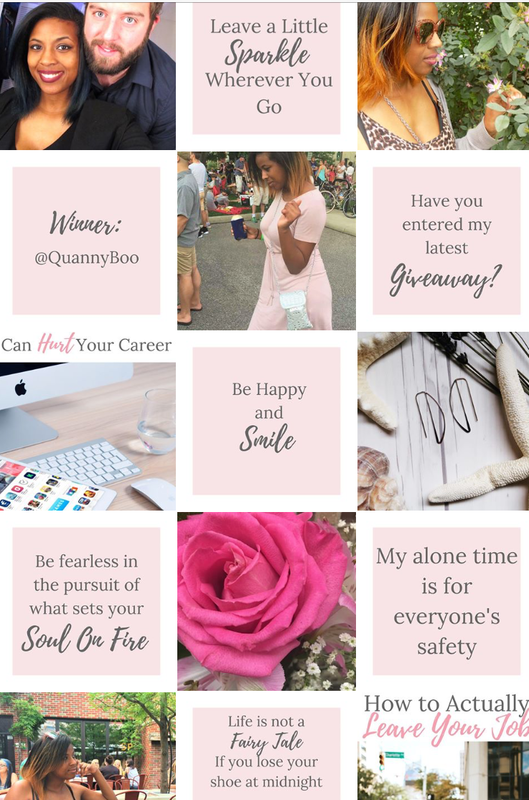 I recommend Canva to anyone who is looking to make their social media look flawless, but doesn’t have the time or money to get a degree in graphic design. Did I mention that it’s also free? Why aren’t you there yet? Not only is Canva a really great design tool, but it’s also a great branding tool. A brand is important for any business because it sets you apart and makes your content stand out! Canva is a big reason why my brand has transformed in just a few months. So, now I want to show you how to use Canva to your branding advantage! One cool feature of Canva is brand colors. Even with the free version, you can set two brand colors for your business. So, whenever you create an image using Canva, you can easily click to use those colors at any time. 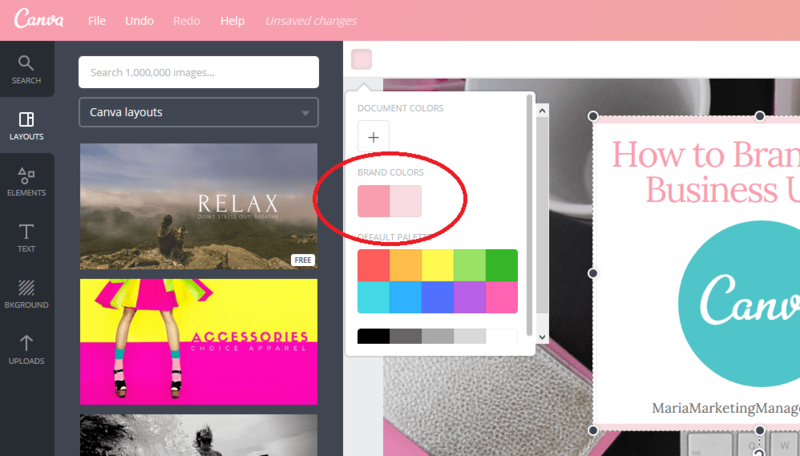 With the paid version of Canva, you can set even more colors! This feature really helps with branding because setting up the tone of my blog includes using the right color for everything. You never want to second guess something so crucial to the brand of your business! Whenever you make an image on Cavna, the design is saved in the “All Your Designs” section. This makes all your past designs forever at your disposal! Make use of this by creating consistency within your posts by using your design as a template for future posts. For example, on According to Brittney’s Instagram page, I have a pretty cohesive aesthetic on my account. To do this, I use a template that I made with Canva and just re-edit it with that relevant wording. 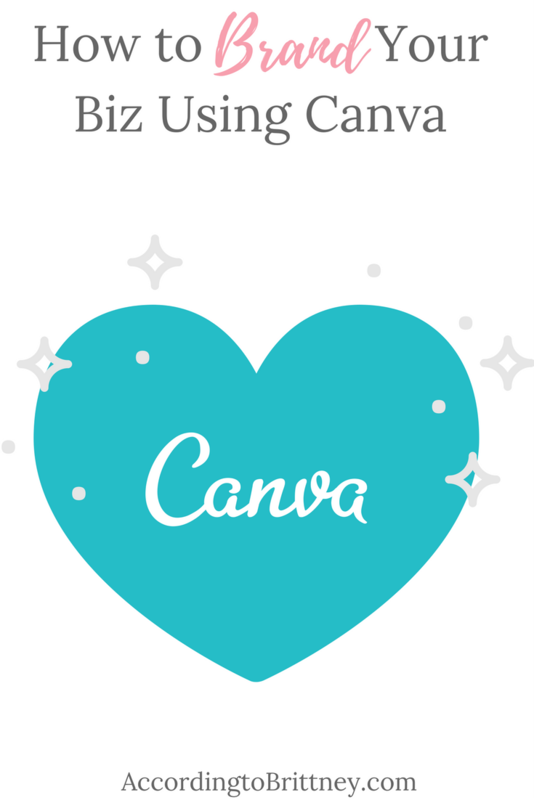 There are so many free images and elements on Canva that you can use anytime. There are even more with the paid version. This makes designing easy and fun, but sometimes you already have an image you’d like to use. 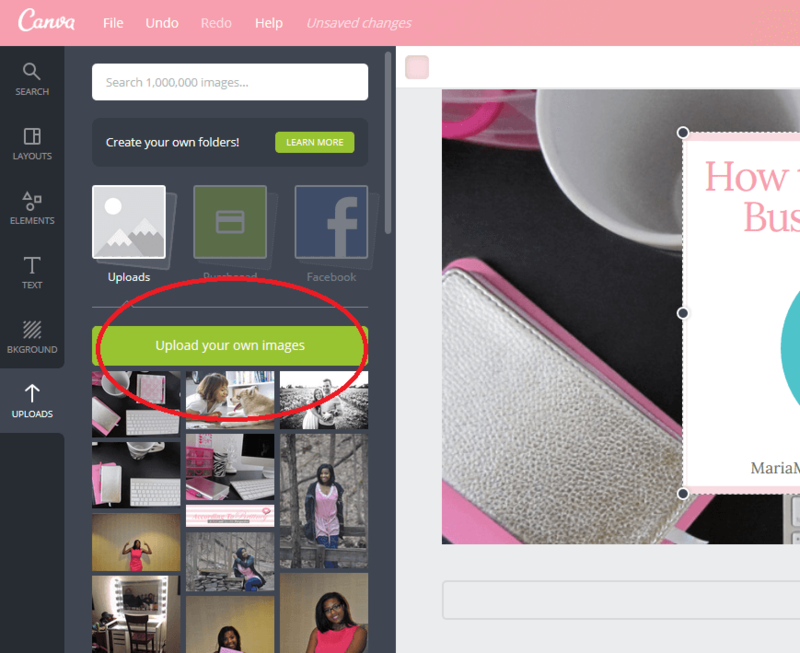 Luckily, you can upload your own images to Canva to enhance your designs. This feature is definitely great for branding because you can add your business logo and drop it into any (or every) design you make! There’s no easier way to add your logo to an image! I hope these tips help you get started with Canva and branding your business. Simple design hacks like these will do wonders for your brand and business. Want more branding help? I’m your girl!